Hashim Amla will feature for Cape Cobras in South Africa's domestic Twenty20 tournament as he bids for form he can transfer to the international stage. Amla, a stalwart at the top of the order for the Proteas for the past decade, has been struggling for his usual fluency in white-ball cricket ahead of this summer's World Cup, which South Africa are 9/1 to win. The 36-year-old has managed just one century in his previous 16 one-day international innings, a period spanning 15 months, at an average of 35.26. Meanwhile, rivals Reeza Hendricks and Aiden Markram have made cases for inclusion through their domestic form. "I still think there is a place for someone to bat through the innings and he is well capable of doing that. 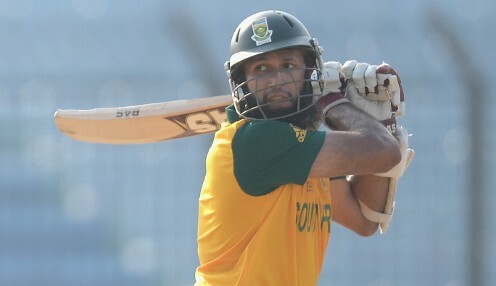 If he bats through the innings at 120-130 strike rate, it allows other natural ball strikers to play their game around him," said Cobras coach Paul Adams of Amla, ahead of Sunday's opening match versus Highveld Lions in Johannesburg. Cape Cobras are 6/4 to win the game. In contrast to Amla, who is scheduled to feature in the opening part of the 20-over tournament, fellow international JP Duminy will be absent as he undergoes strengthening of his shoulder following recent surgery. Amla is South Africa's most prolific centurion in 50-over cricket, having struck 27 in 174 appearances.